i have always envied friends who live with their grandparents. i was never that lucky. aji-ajoba have been in gwalior since their birth. i remember going to gwalior when i was younger for my summer holidays. once i started playing i saw them less n less. i always miss my grandparents. with my busy life it almost becomes impossible to spend time with them. though this time when they came to pune i promised myself that whatever free time i have i will only be with them. its been an amazing week. buffaloes in his backyard. he used to get 5 litres of milk from each one. milking them was his department. he said it was the hardest job he ever did. he said after a while the buffaloes had got so used to him that they would kick anybody else other than ajoba if they came near. the most funny story he loves to tell is about his swimming picnic. he had taken a couple of younger kids to swim in a lake. they all finished and were drying themselves up. all of them were standing at a height of a 3 storey building. one of my mama was standing right on the edge and covering himself up. when suddenly from nowhere a bull came charging at him. mama panciked and jumped. due to his panic he jumped not in the water but on land on the opposite side. ajoba went running not towards mama but towards the farmer who left the bull free. mama was left unconscious. ajoba hammered the farmer and took mama to the hospital on the same bull that caused this. luckily for ajoba, mama miraculously escaped with just a few scratches. you have to listen to ajoba telling this story. he is at his animated best. aji-ajoba make a great couple. they both are loosing sight and vision slowly. to say the truth ajoba is a little more deaf than aji but he wont agree. when they have a conversation they usually are repeating the same thing over and over again to each other. but its often ajoba who struggles more. when both of them reached pune by bus they told me to pick them up from swargate. i reached swargate on time and waited. ajoba called me and told me they have reached. that day i ran ten rounds of swargate but couldnt find them. when i called them they couldnt here me at all. i told ajoba to ask a passerby if it was swargate or shivajinagar but throughout our conversation he kept repeating platform number 5.he just couldnt hear. i panicked and inquired at the window they told me there is no bus coming from jalgaon to swargate all buses went to shivajinagar. i rushed to shivajinagar and found them sipping on sugarcane juice they had taken it for granted that every bus comes to swargate only. that night we laughed our asses off on the whole incident. aji called ajoba deaf and vice versa. 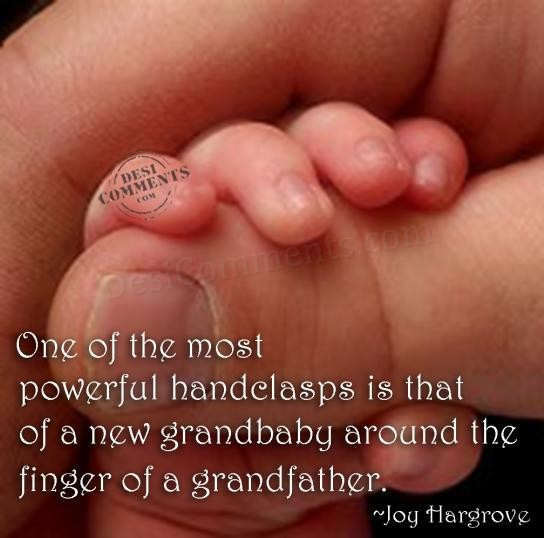 sight is when a grandpa holds his grandsons hand and takes him for a walk. its the cutest sight ever. it also signifies to me the best times of our life. being old is our journey from innocence back to innocence. its a journey from developing our senses to loosing them back again.